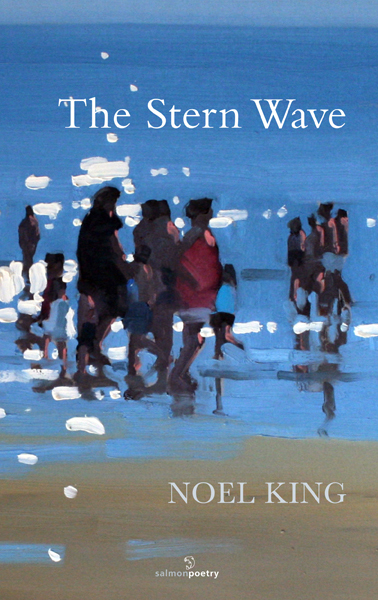 Noel King's second collection, The Stern Wave, follows the success of his 2010 debut collection, Prophesying the Past. As the title suggests, this collection plays with our sense of environmental conscience but is also quirky, sentimental at times, shocking at times, and King (as always) takes on many personas: a Trinidadian teenager in Stilt School, a budding comedian in At the Edinburgh Fringe, an 18th century Cornish miner in Wheal Prudence, extinct copper mine, Cornwall, 1834, and even an Irish housewife rejected by her GAA loving husband in First of the Month. Our collective environmental conscience is activated to red alert in “Exposé”, with an Irish town, ravaged by flood waters : bank officials in wellingtons/wet with tears the plasma TVs ruined/ and the coffins of my ancestors/bob aimlessly,/gurgling sounds fade to silence/and a drowned rat/who missed the boat/floats. The title, The Stern Wave, comes from the lead poem in the collection, Painter, where a suicidal landscape artist is obsessed with painting ropes and different types of knots: I see ropes everywhere, am painting a series of knots: love knots/strangle knots, a rolling hitch/the Dutch cringle/the slipper hitch/ the stern wave/ the mooring hitch, the hairy devil/ and sling-stone knots for lobster pots. Ireland's peacekeeping forces in The Lebanon are remembered in Daughter's Hero, Ireland's crime state is brought into stark reality in Mummies, Even The Beatles are remembered in Enthusiast and Vertigo. The different voices and personas in The Stern Wave are what gives it it's quirkiness, spontaneity and a wry, tongue-in-cheek sense of humour. Noel King is a native of Tralee, Co. Kerry. 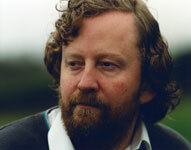 His poetry, haiku, short stories, articles and reviews have appeared in print publications in over thirty-seven countries, the poetry in journals as diverse as Poetry Ireland Review, California Quarterly, Bongos of the World (Japan), The Dailhousie University Review (Canada), Mainichi Daily News (Japan), Poetry Salzburg Review (Austria) and Quadrant (Australia). Along the way he has been a singer with the famous Bunratty Castle Entertainers and has worked as an arts administrator. He edits Doghouse Books, a poetry imprint, with fifty titles published since 2004.